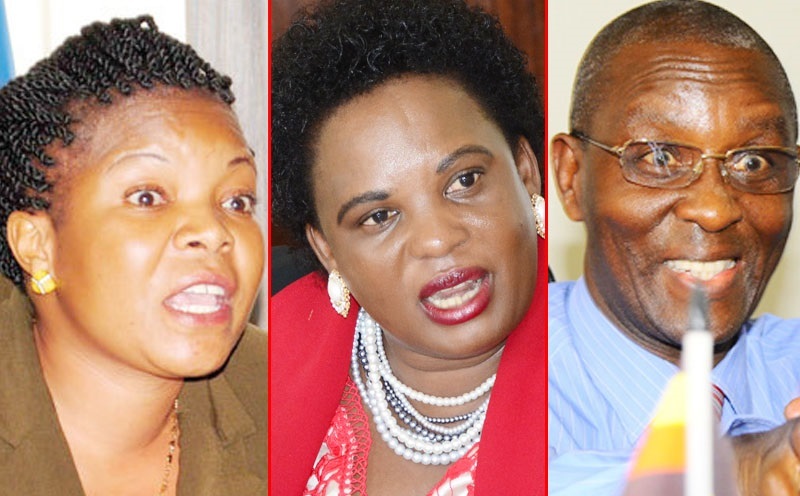 It was a somber mood in the commission of inquiry into land matters when Albert Mugumya, the under-secretary Uganda Lands Commission (ULC) revealed the origin of the bad blood between the Cabinet Minister of Lands, Housing and Urban Development Betty Amongi and the state minister for lands Persis Namuganza. 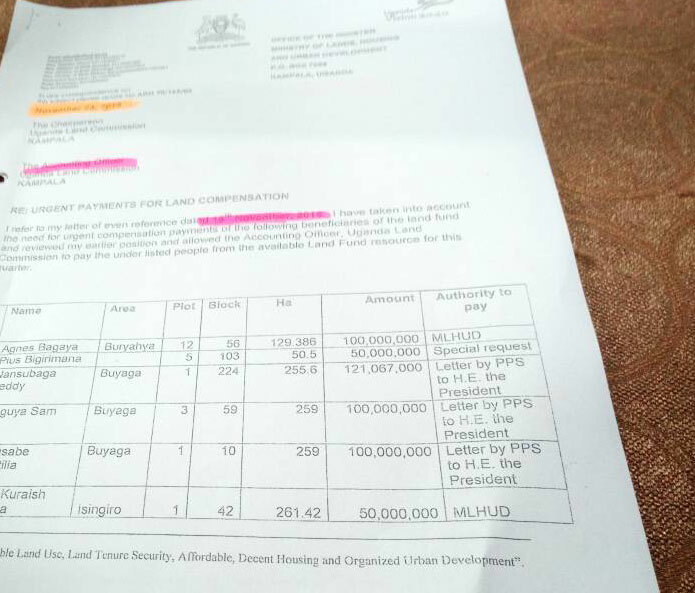 Mugumya broke down in tears when the commission’s assistant lead counsel John Bosco Suuza put him to task to explain how he has been handling the Uganda land fund which the government allocated to compensate the landlords whose land is occupied by tenants. “My lord, I pray that you allow me to testify these sensitive issues in-camera (without journalists) because they are ashaming and involve big government officers who include my bosses Betty Amongi and Namuganzi,” Mugumya pleaded. Suuza first refused Mugumya’s request and told him to go ahead with his testimony. A tough looking Mugumya started revealing shocking details of how government officials have been putting him on pressure to release billions of cash to non-existing land. Mugumya said that in 2016, he received a letter from the lands minister Betty Amongi instructing him to make immediate payments to Agnes Bagaya (100m), Pius Bigirimana (100 million), Nasubuga Teddy (121 million), Sam Seguya (100 million), Crush Baligye (60 million), Jemba Nicholas (50 million), Patrick Bikashangiza (50 million) for their land. He said that Amongi copied her letter to her junior minister Persis Namuganza, Matia Kashaija the finance minister among others. In her letter, Amongi informed Mugumya that she was the last person to determine who will and will not be compensated. 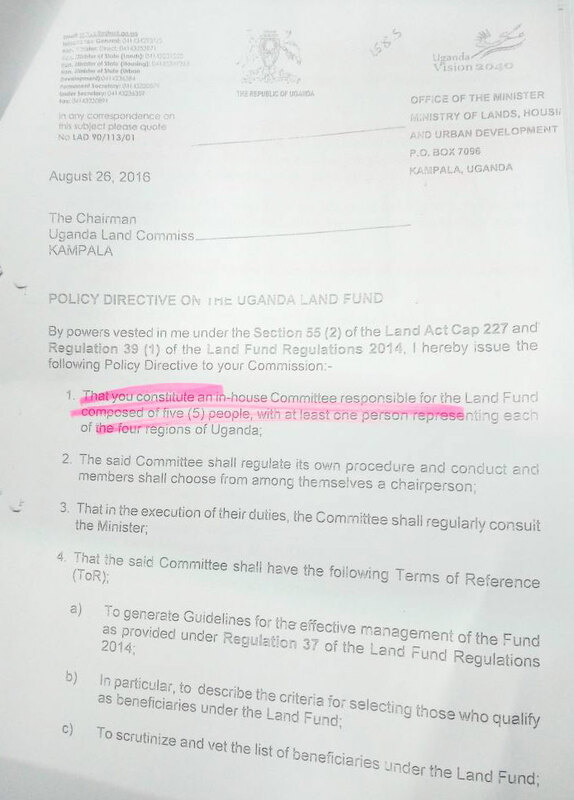 Amongi further indicated in her letter that the president ordered her to be the final person so that she can monitor how the land fund claimants are paid. Mugumya told the commission that he wrote back to the minister telling her that she doesn’t have powers to determine who has to be paid when. He further explained to the minister that the constitution stipulates clearly that it’s the accounting officer who is responsible for the payments. Mugumya said that surprisingly, the auditor general had already instructed ULC to stop paying claimants because he was still investigating how they were handling the compensation money. Permanent Secretary Ministry of Gender and Labour and Social Development, who the auditor general investigated and found out that he was selling air to the commission. He said that the Uganda land fund payment committee sat and passed a resolution cautioning Amongi that she doesn’t have powers to order the undersecretary and to approve payments. State minister Persis Namuganza also wrote to Amongi informing her that she was breaking the law to approve the persons to be compensated. Namuganza clearly told her boss Amongi that the compensation docket belongs to her office not Amongi’s. 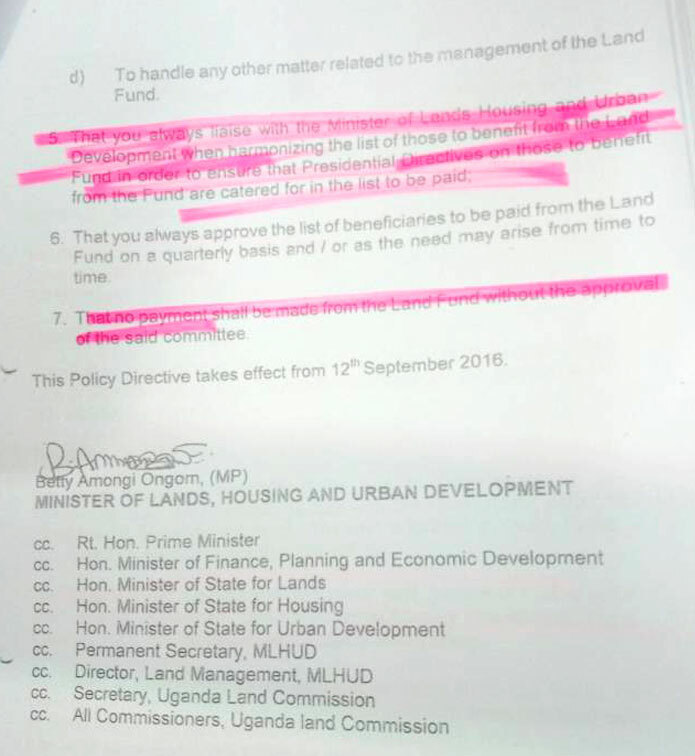 Namuganza further explained to Amongi that there was no money to pay the selected people she branded special in her letter. 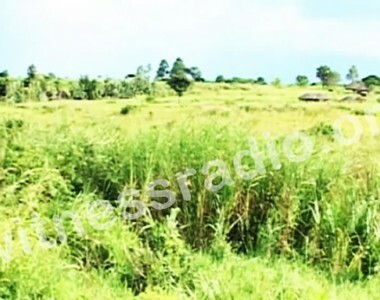 Namuganzi further informed Amongi that the budget which was allocated to the fund was finished after paying 6 billion shillings to the Anglican church for their land in Entebbe, the remaining money was to be paid to the people of Amuru who government was planning to relocate. “My lord, minister Amongi took the powers of the accounting officer. She released billions of cash to Pius Bigirimana. 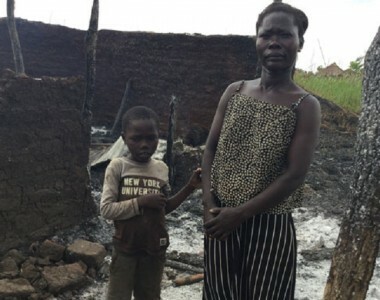 When we warned her that we didn’t see Bigirimana’s land, which he wanted to sell to the government, she just told us that she paid 100 million shillings to Victoria Ssebagereka Bakooko, who was very sick and 650 million shillings to Ishaks Ruhana who was in hiding because banks were looking for him over debts. 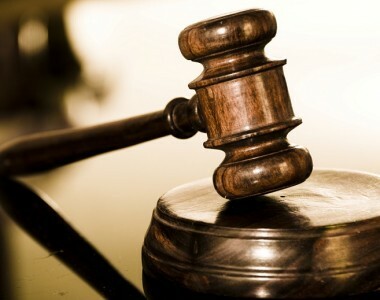 “My lord, I tried to stop the payments by telling the minister that there was an in-house committee chaired by minister Chris Baryomonsi which was investigating how the land fund money was administered. My lord, the minister was very angry with me and threatened to fire me for undermining her. My lord, I pray that you allow me to reveal more secrets in-camera because of the magnitude of the matter,” Mugumya pleaded. He added that Amongi wrote back to Namuganza warning her that she was the cabinet minister so she was the one with absolute authority in the ministry. The commission also learnt from George William Bizibu, the executive secretary Uganda Asian departed property custodian board that Amongi grabbed a lot of property belonging to departed Asians in different parts of the country. 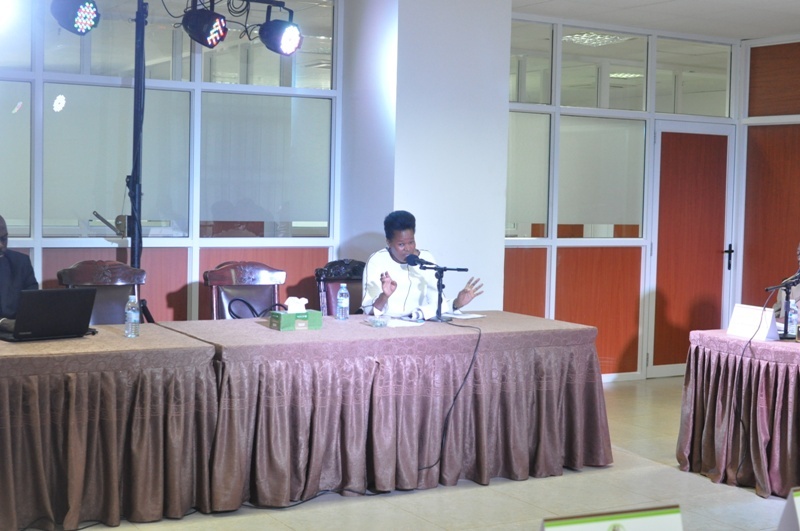 He said that Amongi used her position as the minister who sat on the custodian board to grab the said property using her company Amobet Investment Company limited. 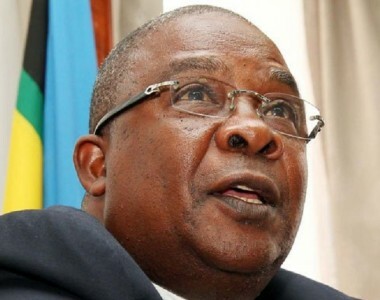 company and one man called Henry Mubiru to steal Indian’s property and we are in the process of cancelling all the property titles,” Bizibu said. Yesterday, an Indian, Patel pined Amongi before the commission for grabbing his family property on plot 29 Acacia road in Kololo. The commission of inquiry through the commission’s chairperson Catherine Bamugemereire has issued criminal summons against Amongi and she is expected to appear on Monday. Minister Betty Amongin Pinned Before The Land Inquiry Commission Land Inquiry Commission opens investigations into the eviction of natives from former government ranches in Bunyoro sub-region Startling Revelations About 213 Titles Government Returned To Mengo Emerge at Land Commission of Inquiry 2 million hectares of land grabbed, 190,000 families violently displaced in Mubende district in 2017- Witnessradio.org report. 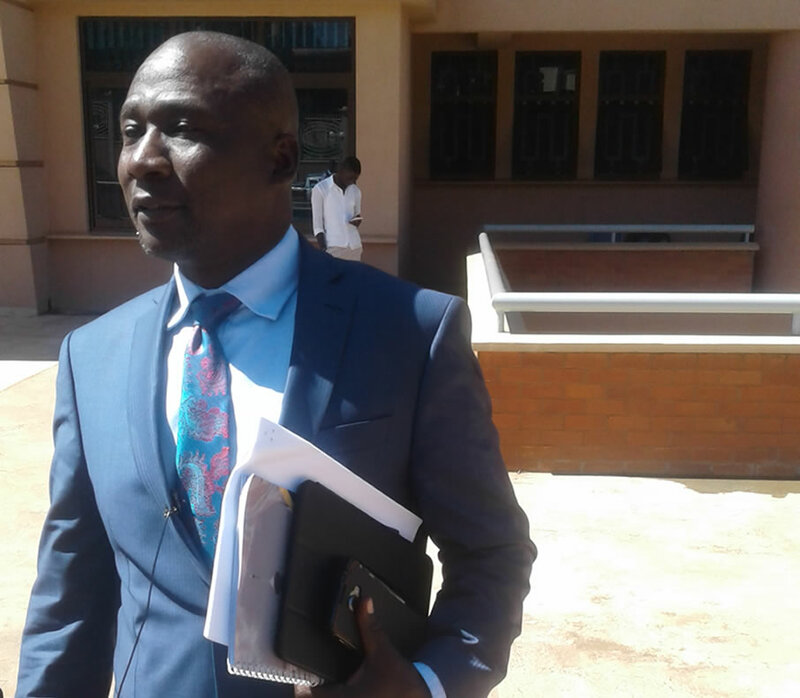 What Minister Nantaba told the Land Commission of Inquiry?